Ivy is a deep charcoal shade with green undertones. This is a tad chalky but it's expected being a matte shade. It's also insanely pigmented so you only need a tiny bit of this on your brush. It's a good shade to cut the crease with, or even to wear on your lashline instead of eyeliner. Chocolate is a matte chocolate brown with gold specks. I absolutely adore this shade, it's great worn all over the lid for a quick smokey eye or worn in the crease with a lighter colour on the lid. 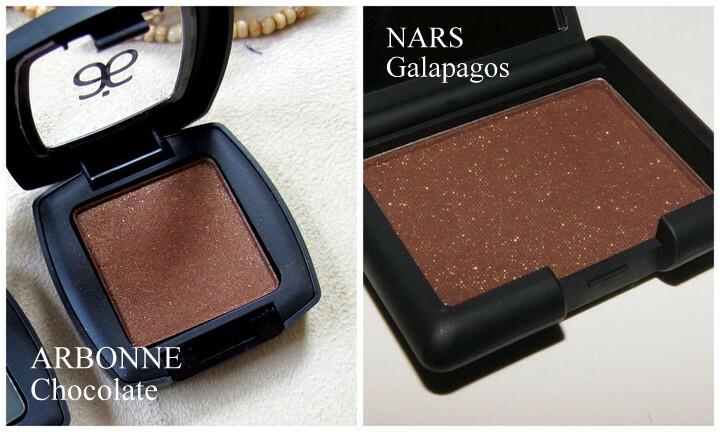 It also reminds me a lot of NARS Galapagos eyeshadow. I don't actually own Galapagos, but based on the images I've seen they look very alike. 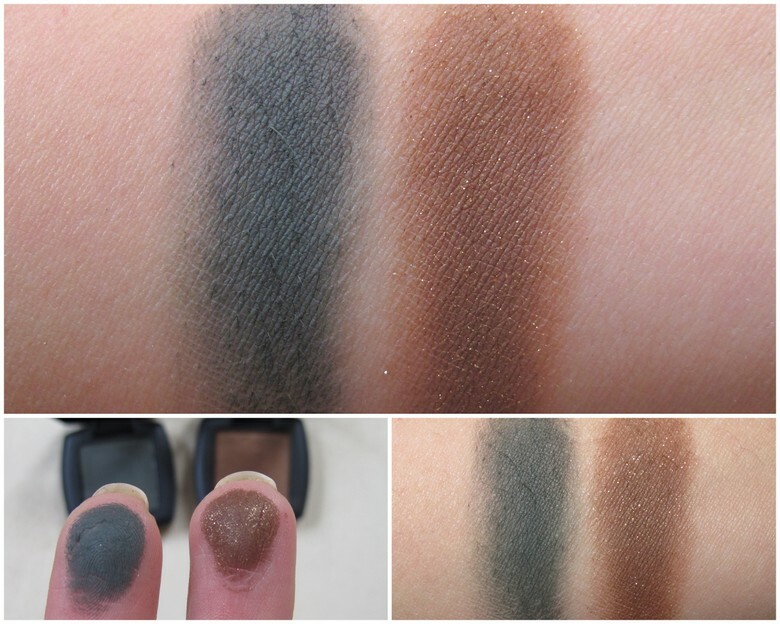 Here are some swatches of these shadows. As you can see both shades are crazy pigmented. The swatches are with just one swipe of the finger. And you know how some eyeshadows swatch well but don't transfer well onto the eyelid? Not these shadows. Below is also a quick look I had done wearing Chocolate on the lid and Ivy in the crease. I have two brand new eyeshadows in Ivy and Chocolate to give away to one Makeup and Macaroons reader. The giveaway opens now and closes midnight 9th March 2013. The prize will be posted to Australian addresses only. To enter you just need to be a follower of Makeup and Macaroons, e.g. via Bloglovin, Facebook, Google Friend Connect, etc. and fill out the form below. Full terms and conditions are in the form. Have you tried anything from Arbonne? I swear by their bronzer! And I love their concealer too! !